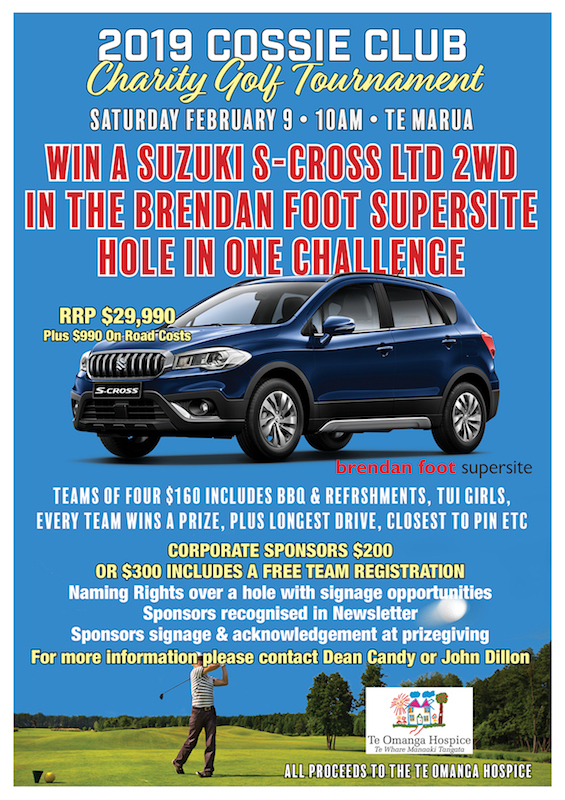 Win a Suzuki S-Cross LTD 2WD in the Brendan Foot Supersite - Hole In One Challenge. Teams of four $160 includes BBQ & refreshments, Tui Girls, every team wins a prize plus longest drive and closest to the pin etc. All proceeds to the Club's 2019 Annual Charity.